Good March morning! It is a gorgeous Spring day here in bonnie Scotland and the first of March. It is quite a good feeling isn't it? 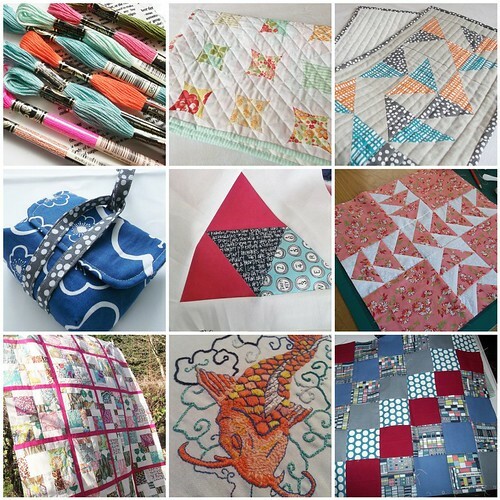 Today being the first of the month means that all us cool kids link up over at Lily's Quilts with the lovely Lynne to share what we have been up to over the last month. So here I am! 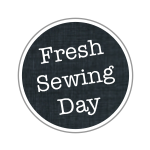 fresh sewing day mar 1, a photo by Poppy&Poochie on Flickr. There is some new embroidery floss. A finished Koi carp embroidery ( at last! ), Siblings together blocks (the red, blue, grey), a finished Hipbees quilt top all for me!, a baby quilt, table runner, and some camera cases for my etsy shop. I could go on but you get the idea! Busy! 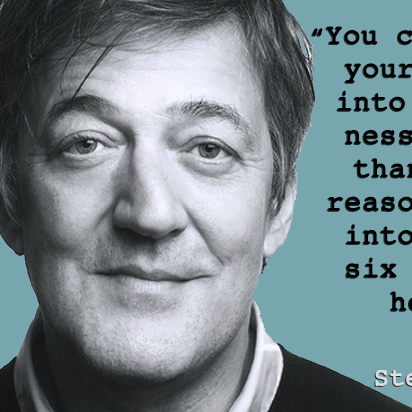 What have you finished or begun in February? Wow great month, love the Siblings Together blocks, hoping to get my Siblings Together quilt(s) started this month! A gorgeous month, I love that fish! Such a pretty mosaic! Your tablerunner is beautiful. These are gorgeous! Love the table runner and that bag! 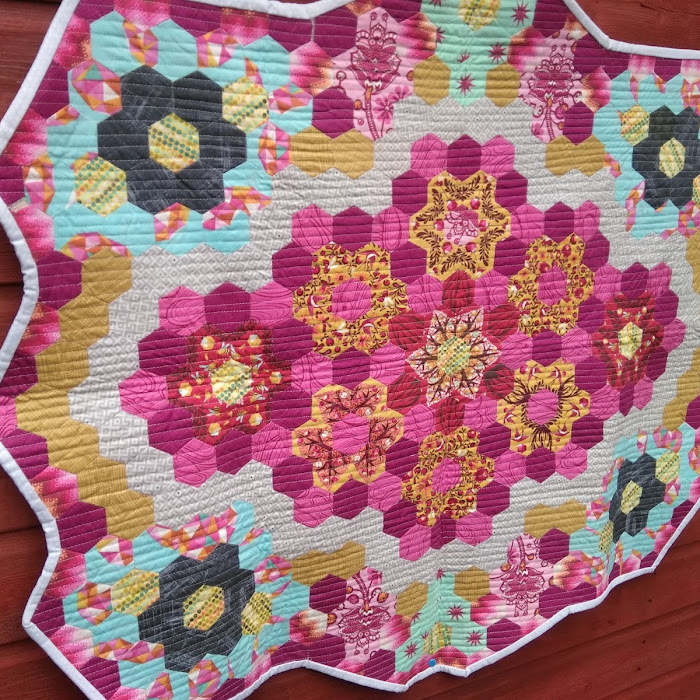 Love everything but especially the hipbees quilt. wonky blog not wonky blocks! 2 finishes in a week!